Are you aware of/did you see the new dark skin introduced with 1.3.0? You can try it out by installing the 1.3.0 development snapshot and selecting it in the settings. The dark skin looks quite similar. The file Dark.qss contains the CSS ruleset for said dark skin. 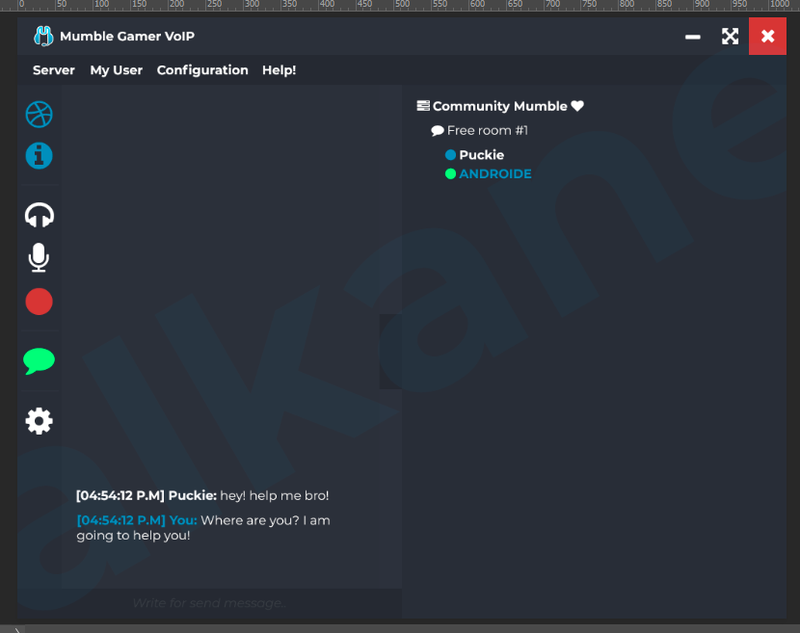 if I actually use external themes but I mean it would not be better to change the basic appearance of Mumble? I have been promoting the use of Mumble in several communities and I see that the main discontent is with the visual part. I was saying 1.3.0 adds/changes the default skin. No need to manually install third party skins. And I was asking if you are aware of that/those. Oh no, I did not know I apologize hehe, I use google translator so my English is bad and because of that I do not understand quite well either. By the way I tried to create a host with several servers but I do not understand this really, is there any guide?